░▒▓►video◄▓▒░ Can printing Community Currency help revive a struggling economy? But a new report from Treasury entitled “The Next Phase of Government Financial Stabilization and Rehabilitation Policies” indicates that the banks and the financial system will need to remain on life support for the indefinite future? ░▒▓►video◄▓▒░ Geithner: Auditing the Fed is a "line that we don't want to cross"
Geithner is still visibly discomfited by the entire exchange, picking at his shirt cuff and coughing nervously throughout the interview. Timmy G. is nervous because he's a self-serving sociopath who knows he speaks only for himself and his interests. 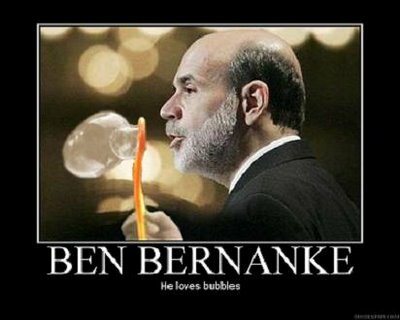 The same goes for Bernanke. At this point these parasites know that pretending to speak for us placates fewer and angers more of us. Although the fed quickly filed an appeal, this is some of the best, most deeply-gratifying news I've heard in a very long time. The spirit of freedom is still strong. 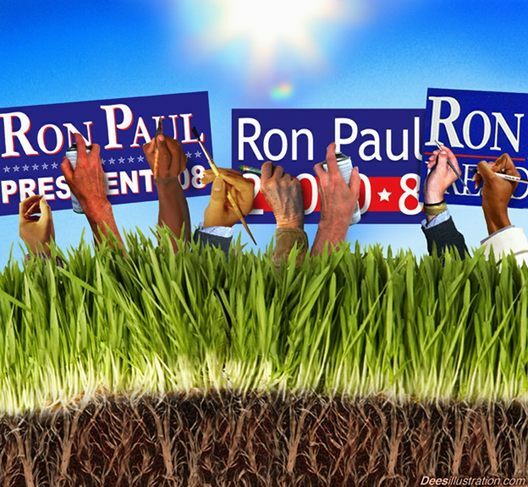 Featuring Ron Paul, Peter Schiff, Andrew Schiff, and Walter Block. 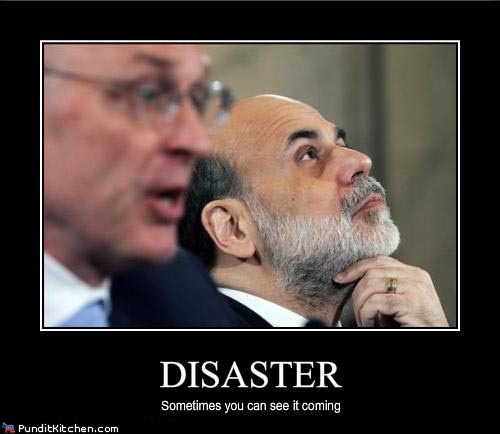 Bernanke is further discredited, hopefully as a prelude to grand jury indictment. 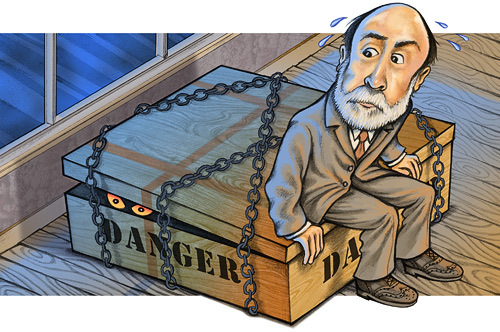 Federal Reserve chairman Ben Bernanke appeared incredibly nervous during an interview aired last night on PBS’ NewsHour, particularly during a question on the ongoing effort to pass legislation that would see the Fed’s books being opened up to a general audit. Alex welcomes back to the show Texas Congressman and former Republican presidential candidate Ron Paul. Paul's bill, H.R. 1207, the Federal Reserve Transparency Act of 2009, has gained tremendous momentum since it was introduced in the House last February. ░▒▓►video◄▓▒░ Ron Paul questions Ben Bernanke on definition of "inflation"
Like the marble background, their hearts seem to be 100% stone. Bernanke claims the fed doesn't cause inflation, but portrays the fed as transparent because the GAO audits the fed's audit, superficial as it is. All of a sudden the Obama plan to make the Federal Reserve into a white knight on a prancing stallion seems kinda/sorta…nuts. 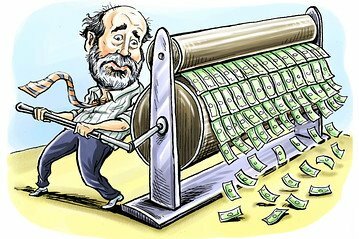 With all of Bernanke's admissions to hollowing out our substance he'll be lucky if this country stops at hollowing out his. 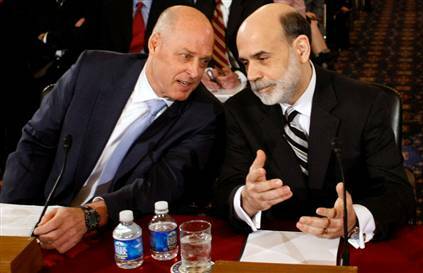 "We have a longstanding legal authority to do swaps with other [foreign] central banks. 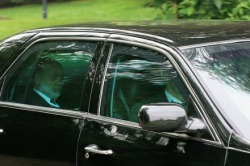 It's not an emergency authority of any kind," said Bernanke. 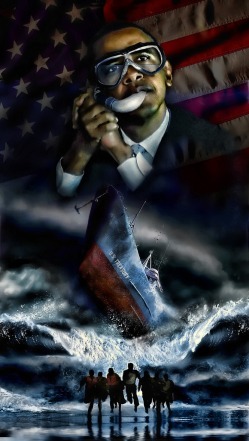 Per executive order 6102 which also confiscated gold, as explained in the 1973 Senate Report 93-549, a declared state of national emergency has existed since March 9, 1933, shortly before the 20-year sunset provision of the Federal Reserve Act was going to occur. This state of national emergency has been renewed every year in an executive order, under various pretexts, by every puppet president since. Central bank chief argues more review would compromise independence, seeking to deny legislative victory for one of Fed's biggest opponents. 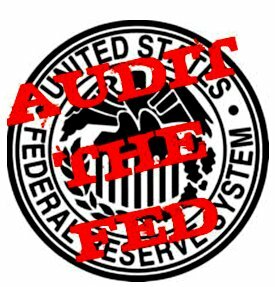 Who is better to audit the fed than the fed? 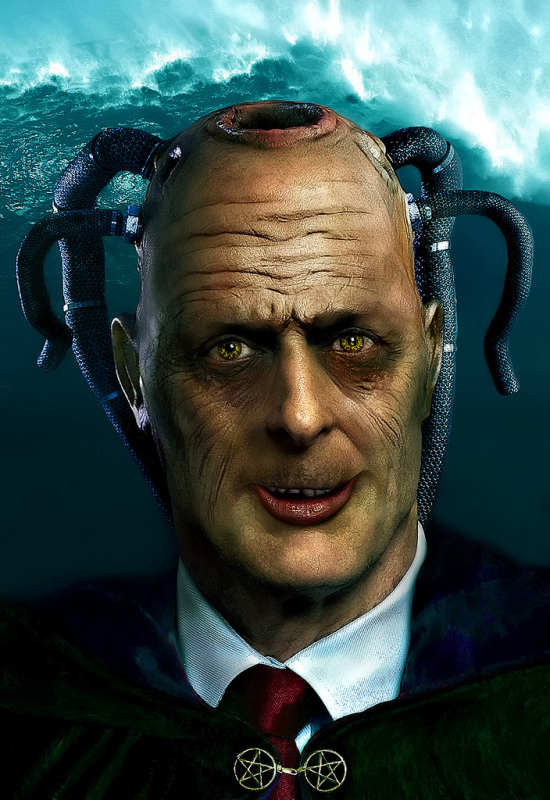 Republican Congressman Cliff Stearns completely crucified former Treasury Secretary Henry Paulson last week on everything from his bailout bait and switch to his tax dodging on $200 million in profits from Goldman Sachs. Paulson’s stuttering and embarrassing attempt to respond made him look guiltier than a kid caught with his hand in the cookie jar. ░▒▓► video ◄▓▒░ Dennis Kucinich: Can You Tell Me How The Secretary Of Treasury Can Ignore Illegal Acts? And then it was Rep. Dennis Kucinich's turn to make Henry, the worm, squirm. Please pray for honorable statespeople exposing the genocidal maniacs. 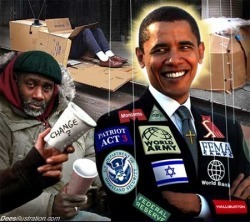 According to the watchdog overseeing the federal government’s financial bailout program, the full exposure since 2007 amounts to a whopping $23.7 trillion dollars, or $80,000 for every American citizen. Meanwhile, Henry Paulson, one of the chief architects of the bailout and the man who committed financial terrorism by threatening the Congress with martial law and food riots if they didn’t pass the initial TARP package, brazenly pockets $200,000 in Goldman Sachs profits tax free while handing out billions in ill-gotten gains to his bankster buddies, all this after he pulled a bait and switch by changing the entire focus of the bailout from buying up toxic debt to giving money directly to financial institutions. That's a lot of miniature water bottles to keep us hydrated as the fraudulent financiers of the odious debt make us sweat for less and less. Because derivatives have not been outlawed and made worthless as they should be, the debt hole down which we fall is being dug faster than we are falling. When they choose to stop digging and the country hits bottom, we will end up all the flatter. 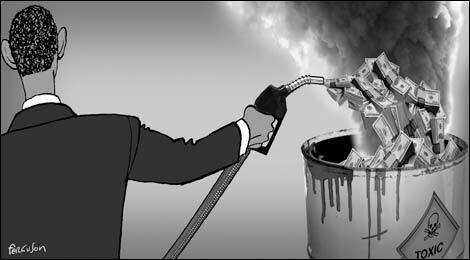 In a capitalist economy the foundation of wealth is private production. The more products are sold, the more money is made. The various bailouts demonstrate that the product has become debt-based fiat money and credit issued with strings attached by the corporate, fascist Fed-owned state. Will such bailouts be successful? Can a leopard change its stripes? Federal Reserve Chairman Ben Bernanke on Thursday pushed back hard against accusations the Fed threatened Bank of America executives if they halted a merger with Merrill Lynch or pressured them to withhold bad news about the troubled investment bank. Our land is the collateral for the odious debt to the multinational land grabbers. 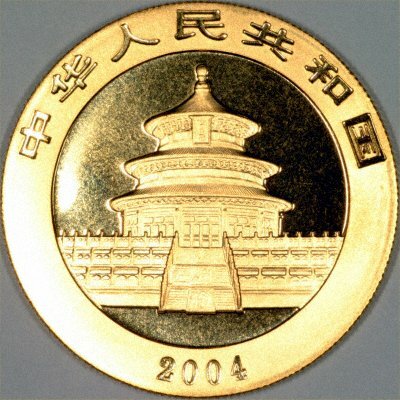 Take a clue from the Chinese, spend your 'dollars' while they're still worth something. 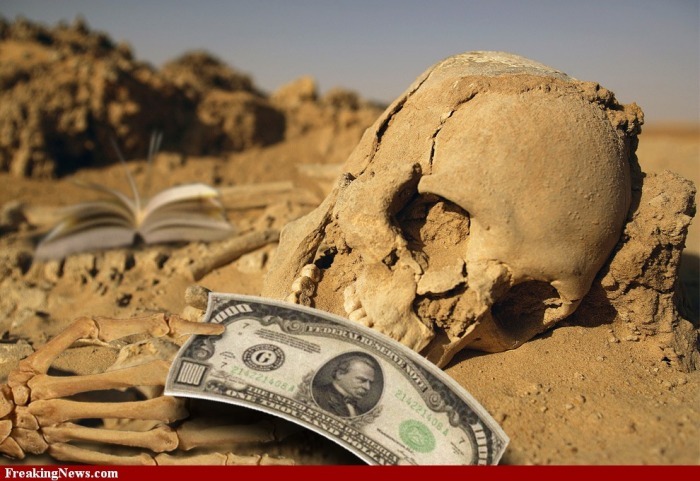 Is this the death of the dollar? After two smugglers were stopped last week with what at first appeared to be $134bn in US state bonds, the tension and paranoia surrounding the fate of the dollar hit a new high. 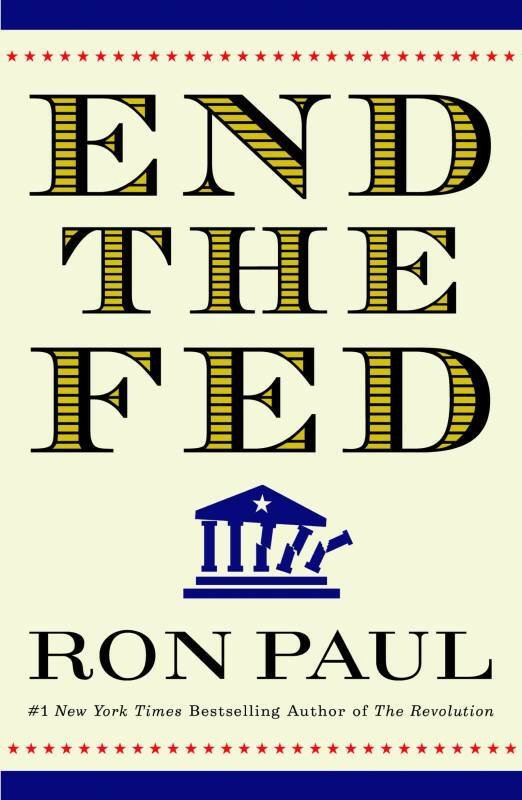 Audit The Fed Bill Already Neutered In The Senate? June 12, 2009: HR 1207 is up to 223 co-sponsors! Rep. Ron Paul updates us. 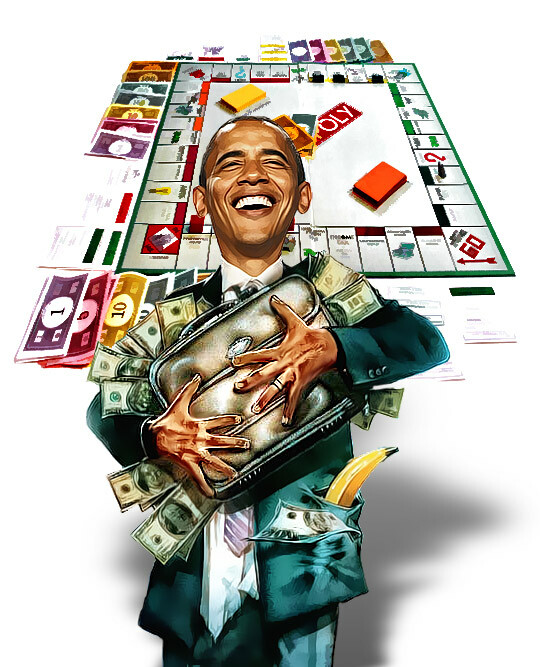 The Obama administration is considering a solution to 'economic decline' which would blatantly waste the valuable labor and materials put into real estate. At the root of this legalized cannibalism is the cynical materialism of elitists and bankers who know they can drive up property values if they drive down the number of valuable properties. This is why they are more frequently foreclosing on properties, declining negotiation with the borrower, and often 'call in' mortgage notes (demanding payment in full), causing the property to lay vacant, then deteriorate, become condemned and go back to the possession of the city (banker-owned government). Why else would the federal government want to downsize cities? Maybe it will be discovered that the administration promised to put in his cabinet a former lobbyist or board member of Coleman and some multinational cardboard box manufacturer. We need only 11 more to move it to a floor debate! Being interviewed by Alex Jones today, Rep. Ron Paul encourages us to contact representatives who haven't yet come onboard and said that he believes an independent audit of the fed will reveal they've been manipulating the gold market and stock market and thus lead to its downfall. Fire the fraudulent financiers! His answer drew loud laughter from his student audience, reflecting scepticism in China about the wisdom of a developing country accumulating a vast stockpile of foreign reserves instead of spending the money to raise living standards at home. government no longer accepts lawful money (see 12 USC 152), "gold and silver coin of the United States," to pay debt as was possible pre-1933. The fed thinks they own us because we have been living by virtue of real and personal property redeemed by their debt-based notes and credit system. 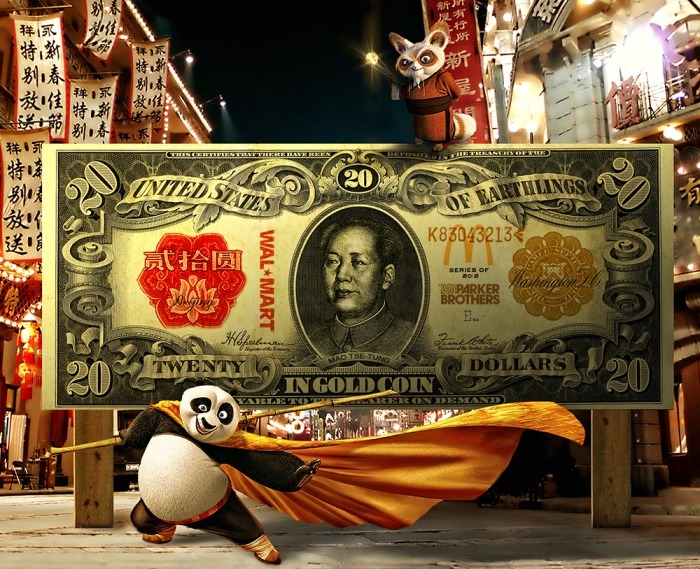 Other than what China allows to be stolen by its delay in spending its declining 'dollars,' what property of China's could the fed actually seize? "The U.S. Navy is investigating the disappearance of $30,000 in cash..."
The Weimar Hyperinflation? Could it Happen Again? 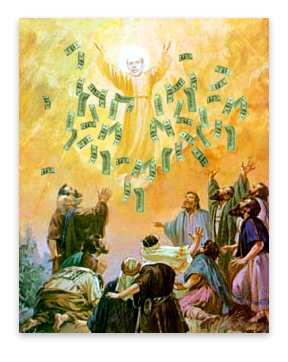 Cash is king -- as long as the people accept the king's cash. Lindsey Graham faced hecklers at the South Carolina Republican Convention Saturday [May 16, 2009]. And other astounding statements showing he either is in denial or he knows the establishment's drum he beats is broken beyond repair. fed, what've you been doing with the 'money' all this time? 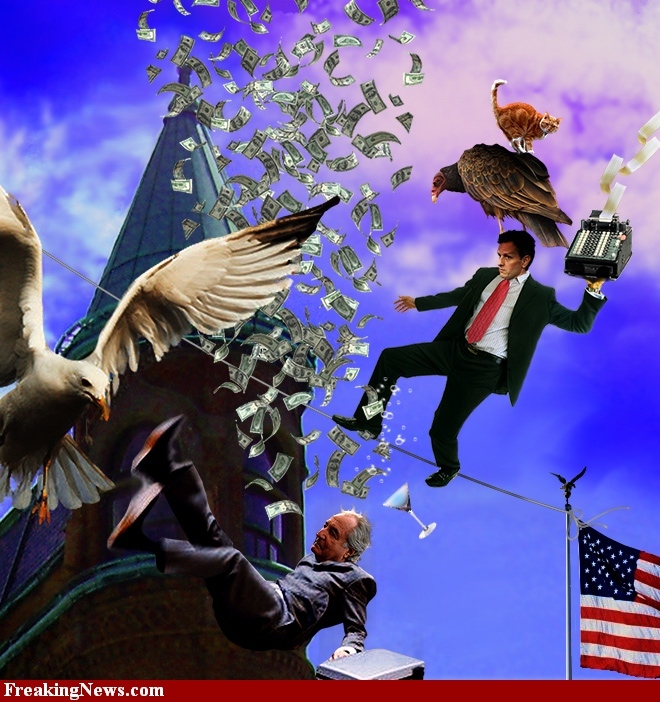 May 11, 2009 Rep. Alan Grayson asks the Federal Reserve Inspector General about the trillions of dollars lent or spent by the Federal Reserve and where it went, and the trillions of off balance sheet obligations. Inspector General Elizabeth Coleman responds that the IG does not know and is not tracking where this money is. The stimulus package the U.S. Congress is completing would raise the government’s commitment to solving the financial crisis to $9.7 trillion, enough to pay off more than 90 percent of the nation’s home mortgages. 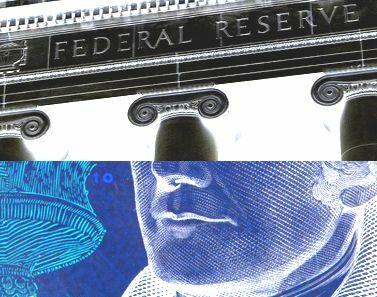 The Federal Reserve, Treasury Department and Federal Deposit Insurance Corporation have lent or spent almost $3 trillion over the past two years and pledged up to $5.7 trillion more. The Senate is to vote this week on an economic-stimulus measure of at least $780 billion. It would need to be reconciled with an $819 billion plan the House approved last month. Only the stimulus bill to be approved this week, the $700 billion Troubled Asset Relief Program passed four months ago and $168 billion in tax cuts and rebates enacted in 2008 have been voted on by lawmakers. 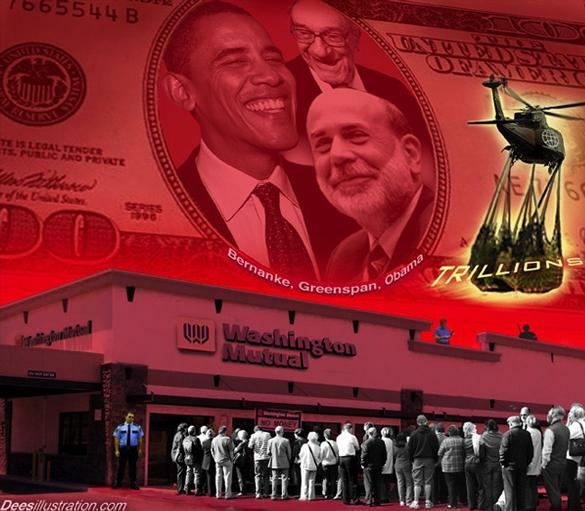 The remaining $8 trillion is in lending programs and guarantees, almost all under the Fed and FDIC. Recipients’ names have not been disclosed. The pledges, amounting to almost two-thirds of the value of everything produced in the U.S. last year, are intended to rescue the financial system after the credit markets seized up about 18 months ago. The promises are composed of about $1 trillion in stimulus packages, around $3 trillion in lending and spending and $5.7 trillion in agreements to provide aid. The total already tapped has decreased about 1 percent since November, mostly because foreign central banks are using fewer dollars in currency-exchange agreements called swaps. Federal Reserve lending to banks peaked at a record $2.3 trillion in December, dropping to $1.83 trillion by last week. The Fed balance sheet is still more than double the $880 billion it was in the week before Sept. 17 when it agreed to accept lower-quality collateral. The worst financial crisis in two generations has erased $14.5 trillion, or 33 percent, of the value of the world’s companies since Sept. 15; brought down Bear Stearns Cos. and Lehman Brothers Holdings Inc.; and led to the takeover of Merrill Lynch & Co. by Bank of America Corp. The $9.7 trillion in pledges would be enough to send a $1,430 check to every man, woman and child alive in the world. 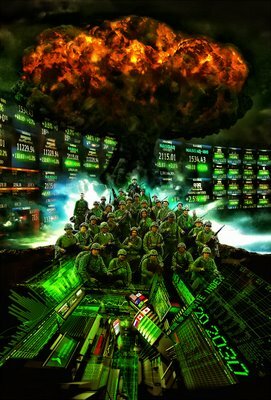 It’s 13 times what the U.S. has spent so far on wars in Iraq and Afghanistan, according to Congressional Budget Office data, and is almost enough to pay off every home mortgage loan in the U.S., calculated at $10.5 trillion by the Federal Reserve. Bloomberg News tabulated data from the Fed, Treasury and FDIC and interviewed regulators, economists and academic researchers to gauge the full extent of the government’s rescue effort. Commitments may expand again soon. Treasury Secretary Timothy Geithner postponed until tomorrow an announcement that may invite private investment as a way to clear toxic debt from bank balance sheets. Measures that have been settled include a new round of injections of taxpayer funds into banks, targeted at those identified by regulators as most in need of additional capital, people briefed on the matter said. The government is already backing $301 billion of Citigroup Inc. securities and another $118 billion from Bank of America. The government hasn’t yet paid out on any of the guarantees. The Fed said Friday that it is delaying the start a $200 billion program called the Term Asset-Backed Securities Loan Facility, or TALF, to revive the market for securities based on consumer loans such as credit-card, auto and student borrowings. 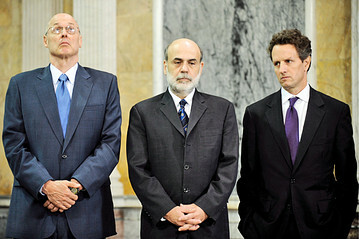 Most of the spending programs are run out of the Federal Reserve Bank of New York, where Geithner served as president. He was sworn in as Treasury secretary on Jan. 26. 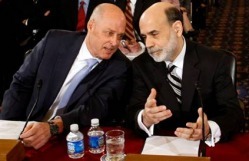 When Congress approved the TARP on Oct. 3, Fed Chairman Ben S. Bernanke and then Treasury Secretary Henry Paulson acknowledged the need for transparency and oversight. The Federal Reserve so far is refusing to disclose loan recipients or reveal the collateral they are taking in return. Collateral is an asset pledged by a borrower in the event a loan payment isn’t made. Bloomberg requested details of Fed lending under the Freedom of Information Act and filed a federal lawsuit against the central bank Nov. 7 seeking to force disclosure of borrower banks and their collateral. Arguments in the suit may be heard as soon as this month, according to the court docket. Bloomberg asked the Treasury in an FOIA request Jan. 28 for a detailed list of the securities it planned to guarantee for Citigroup and Bank of America. Bloomberg hasn’t received a response to the request. To contact the reporters on this story: Mark Pittman in New York at mpittman@bloomberg.net ; Bob Ivry in New York at bivry@bloomberg.net .